British synth pop / art rock band founded in 1981 in London and disbanded in 1991. The group had a string of international hit singles including Talk Talk, Today • It's So Serious, It's My Life, Such A Shame, Life's What You Make It and Living In Another World. They moved away from synth-pop to a more experimental form with the album The Colour Of Spring in 1986, and their critical reputation increased. Their final two albums, Spirit Of Eden and Laughing Stock, are highly acclaimed and remain influential to experimental alternative rock genres. With Simon Brenner out, Tim Friese-Greene was recruited to assist with the recording of their second album It's My Life and he soon became the band's producer and de facto fourth member. He played keyboards and became Hollis' frequent songwriting partner, co-writing all the songs on The Colour Of Spring, Spirit Of Eden and Laughing Stock. Although a major contributor to the band's studio output, Tim Friese-Greene did not regularly play with the touring band, and was absent from the band's publicity material. What an indescribably sad day. Rest in peace Mark Hollis and thank you for your music. RIP Mark Hollis. Talk Talk left an inprint in musical history. Spirit Of Eden is a masterpiece and one of the most beautiful recording ever. RIP Mark. Thank you for so much beautiful and challenging music. Always hoped for some kind of reunion or even new material, but I guess he new better than us. Such beautiful melodies. Never to be forgotten. 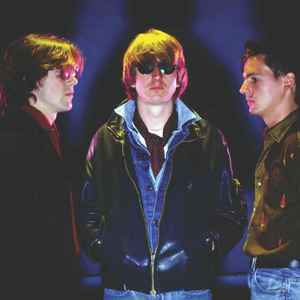 Talk Talk is one of the most progressive bands ever. It is astonishing to hear how they were able to change their music with every of their only 5 releases. Such a unique band who've aged well all these years on and one of those rare bands that managed to evolve sonically when so many acts around them were playing it safe. From their analogue pop debut right through to the abstract sounds of their finale, each album is full of gems. A band who occupy the premier league in sonic innovation along with the likes of Sparks, Depeche Mode, Radiohead etc - post 70's acts who studied the art of music production. Everyone should own every Talk Talk album on vinyl. The early Talk Talk live shows (as witnessed on "Off The Record" and "Ahoy") reveals an unique powerful electronic tribal sound, not witnessed on the albums (maybe except "Hate"). Lee Harris is such an underrated drummer, he shines in the live settings, hammering those Simmons drums into submission! My Favorite British Rock Bands by Valentin-A.